Most Americans still think owning a home is part of the American Dream, but only a minority of people thinks President Obama has done a good job stabilizing housing. Mortgage rates will only increase slightly after the Federal Reserve finishes with its debt-buying program. If your idea of a dream retirement home is a luxury contemporary overlooking a championship golf course in the desert, you better be prepared. Mortgage rates remained flat this week ahead of the Federal Reserve's policy committee meetings. Capping the worst year for housing since World War II, sales of new U.S. homes fell sharply in December for the second month in a row. Homekeys instantly identifies the â€œundervalued propertiesâ€� by displaying search results comparing the â€œlist valueâ€� with the â€œestimated valueâ€�. 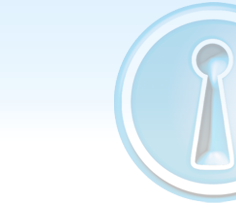 Homekeys offers its users FREE search tips to help them take full advantage of the tools we have to offer. If you have any suggestions about tips you'd like to see, feel free to Contact Us. Want to Succeed in Today's Real Estate Market? At Homekeys we provide you with the tools to make you more than a real estate agent - Homekeys systems and tools will provide you and your customers an advantage through the entire real estate process. Learn more about Homekeys and how you can find success as a Homekeys Sales Associate. Homekeys reimburses your first 1,000 business cards. Homekeys provides you with both buyer and renter leads. Homekeys provides you with your own co branded state of the art website. Real Estate questions? Search help? What do you want to see in the next newsletter? Â©2010 HomeXperts, Inc. All rights reserved.